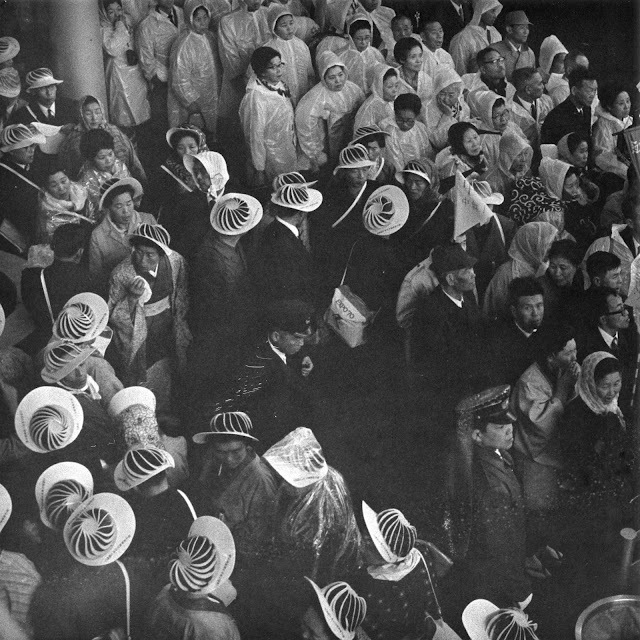 Rainy day crowd at Expo '70. The hats were provided by a sponsor, and made more sense on sunny days. The crowds at Expo '70 were some of the largest I have ever experienced. The negative for this image is 8" x 8". I'm not sure how it was produced.